This is a mini ventriloquist doll. 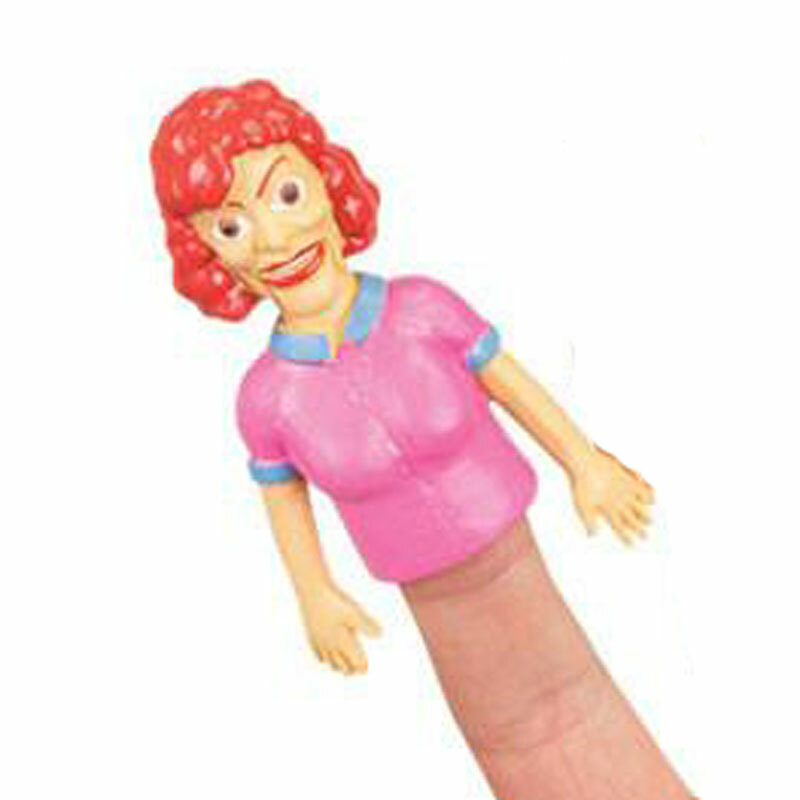 The woman is 3 inches tall at the tips of its fingers. The mini ventriloquist dummy is hollow, pliable plastic so can be used as a finger puppet. The style varies. This mini female ventriloquist doll is recommended as as a sandtray / sandplay figure or for more general play therapy.